being little • bristol uk fashion & lifestyle blog. : carrot cupcakes. 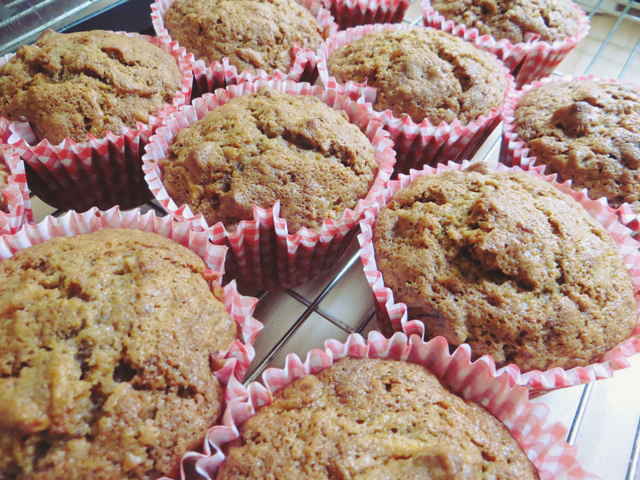 The weather isn't looking too peachy this weekend, so why not stay indoors and bake these scrummy carrot cupcakes? 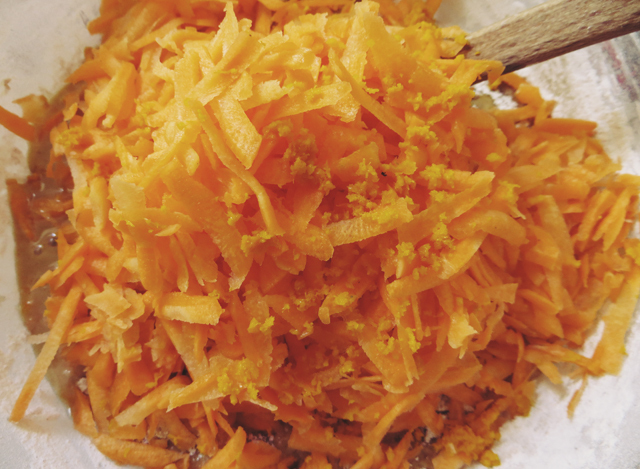 Read on for the recipe, as well as links to other cakes if carrot doesn't tickle your fancy! 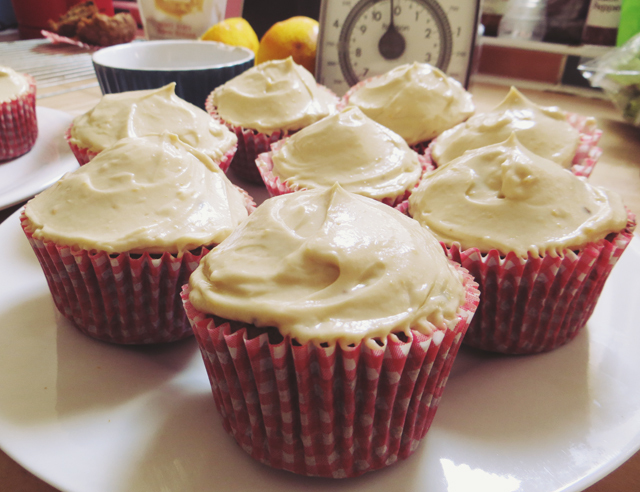 • Preheat oven to 160ºC and line your cupcake tin with cases. • Pour melted butter, sugar & eggs into a mixing bowl and whisk until the mixture has almost doubled in volume. • Sift the flour, bicarb, salt & spices into the mixture, and very gently fold in. • Fold in the remaining ingredients. • Divide between cupcake cases - should fill 12 large cupcake/muffin cases. • Bake until a skewer comes out clean - about 20-25minutes. • While the cakes cool on a wire rack, beat icing ingredients together & refridgerate. 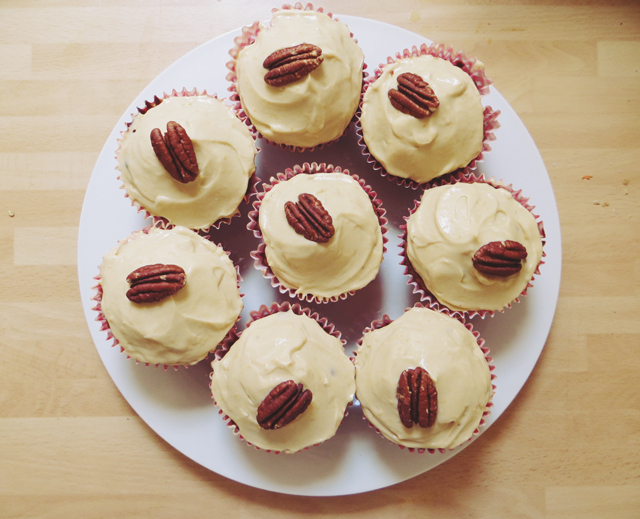 • When the cakes are cool, ice generously & place a pecan on top. If you're not a fan of carrot cake, check out my other cake recipes - I've baked a delicious lemon & raspberry drizzle lately, as well as English rose cupcakes! Wow, these look delicious! 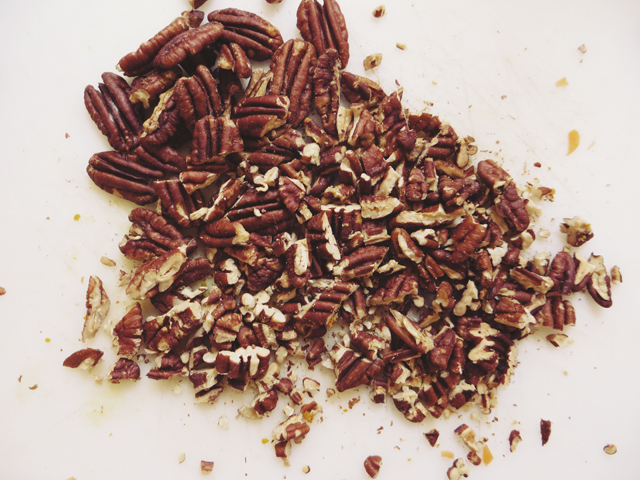 I love carrot cake and pecans, so I really must give these a go soon!! The weather where I am..is sweltering...I feel like I'm melting like a candle!! These look gorgeous by the way...and healthy! I love carrot cake so I've always wanted to make something similar to this but the thought of grating so many carrots puts me off a bit! Yum! I love carrot cake so much and don't get to eat it nearly often enough. 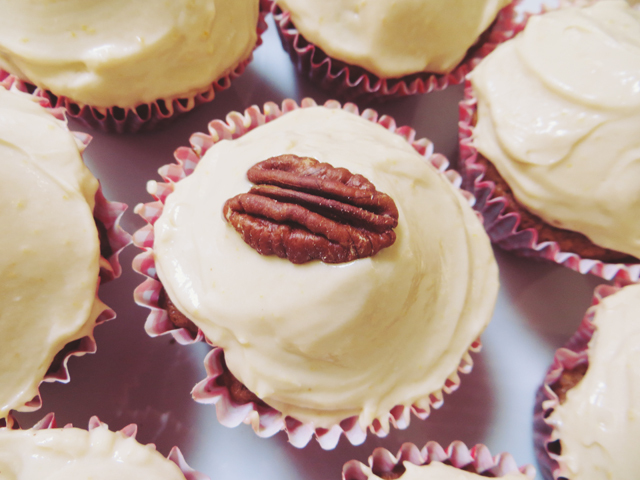 I love the pecan decoration on top of these cupcakes. Delicious and cute! Ah I can eat carrot cake all day long! i love baking cupcakes it's so much fun!! These look delicious, I have never tried carrot cake so may start with this recipe! Oh, I have only once tried to make a carrot cake. It didn't work at all and I have no idea why. I feel as though maybe it's time to give the carrot cakey goodness another go. These look so amazing! I think I may have to treat my office co-workers to these next week :) Loooove carrot cake.